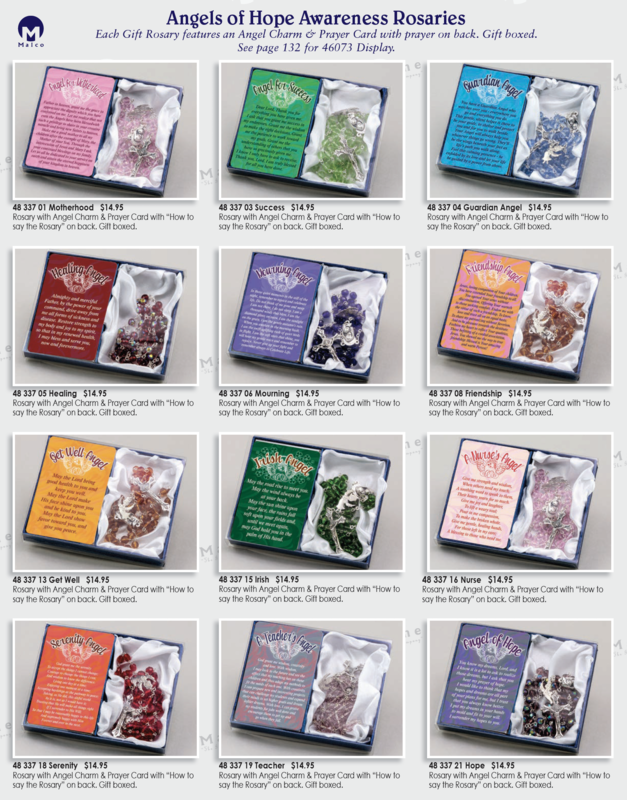 Each Gift Rosary features an Angel Charm & Prayer Card with prayer on back. Gift boxed. See page 132 for 46073 Display. say the Rosary” on back. Gift boxed.